The choral group goes cutting-edge with Amelia Earhart, mysteries, and metronomes. For their concert Mass Transmission, performed this Friday through Sunday, Feb. 8-10, in three distinct venues, Verdigris Ensemble will bring together electronic music and vocal work, a continuation of their impetus to make choral work cutting-edge. The program’s guiding principle, connecting the mystery of Amelia Earhart’s disappearance with the notions of transmission, dispatch, and transference, sent chills down my spine. 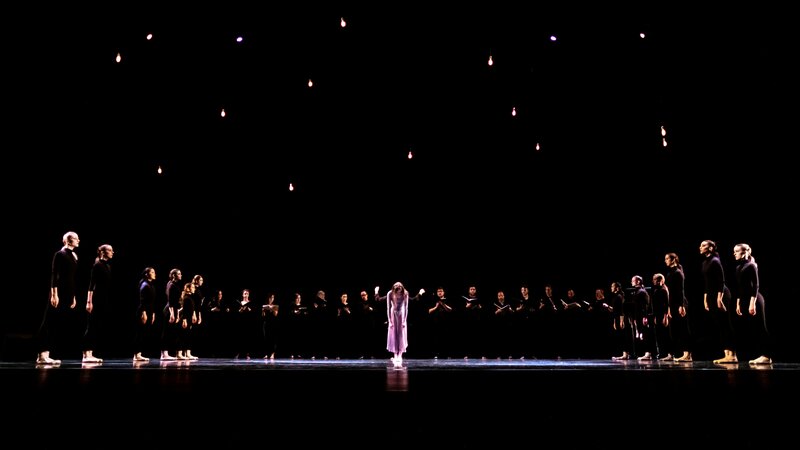 With performances at a private residence, a church, and the Texas Theatre, it promises to be transcendent in the way that choral music can. The idea emerged when Verdigris’s artistic director Sam Brukhman was introduced by a friend in January 2018 to Mass Transmission, a choral piece by Grammy-nominated contemporary symphonic composer and DJ Mason Bates, that melded organ, choir, and computer-generated electronic music. “We listened to it, and I thought, ‘Woah—that’s so weird,” Brukhman says. Adapting to the electronic music required that the choir function with impeccable precision. The effect and challenge he found undeniably compelling. “From there, I tried to figure out how we could tie in radio transmission or something really vintage that changed the way humans interacted with each other,” Brukhman says. The second piece in the puzzle came when he happened recently upon an article regarding what has become known as “Betty’s Notebook,” the distress signals purportedly sent from an island by Amelia Earhart, caught and transcribed in real time by fifteen-year-old Betty Klenck using her father’s short-wave radio in St. Petersburg, Florida in 1937. New York-based composer Nicholas Reeves transformed Betty’s Notebook into a haunting choral piece that be a world premiere. Klenck died in 2014, but Richard Gillespie, who founded The International Group for Historic Aircraft Recovery (TIGHAR), had taken on the project of investigating Betty’s Notebook and conducted an interview with Klenck in 2010. Reeves’ choral piece, then, forms a ghostly dialogue—an overlay of Klenck’s voice from the interview and the live choir singing in the voice of Earhart. “She’s narrating the thing,” Brukhman says. “[She’ll say,] ‘I heard her say S.O.S.’ And then the choir sings ‘S.O.S.’ as [Earhart]. It’s the juxtaposition of [Klenck] herself and the choir being Amelia Earhart and repeating things she says.” The whole becomes recursive, a chilling, counter-factual transmission of its own. For Brukhman, as always, the concert is an opportunity to push both the ensemble and the Dallas audience. “We have to bring more audiences in by being interdisciplinary. By making multiple connections through various fields, we offer the audience better possibilities of making connections—to feel something,” he continues. To that end, the Friday evening performance, held in a private residence, will include dinner and a question and answer session with both the historian Gillespie and composer Reeves, both of whom will have flown out for the event.